Besides landing himself a voice-acting role in DreamWorks Animation's Trolls, co-starring alongside Anna Kendrick, pop music icon Justin Timberlake also had a hand in putting together a soundtrack for the film that's as vibrant and colourful as its eye-popping visuals. "Listening to [producer] Gina Shay and [directors] Mike Mitchell and Walt Dohrn talk about the movie and how it was really inspired by the '70s, I started bringing up the soundtrack from Saturday Night Fever, movies where the soundtrack was released before the movie and got people equally excited," he explained to People in August. Executive music producer Timberlake's 13-song soundtrack draws from popular music both past and present by using musical reference and reinterpretation. Before Trolls arrives in theatres on November 4, get to know what went into Timberlake's collection of songs in our breakdown, then listen for yourself in the player below. 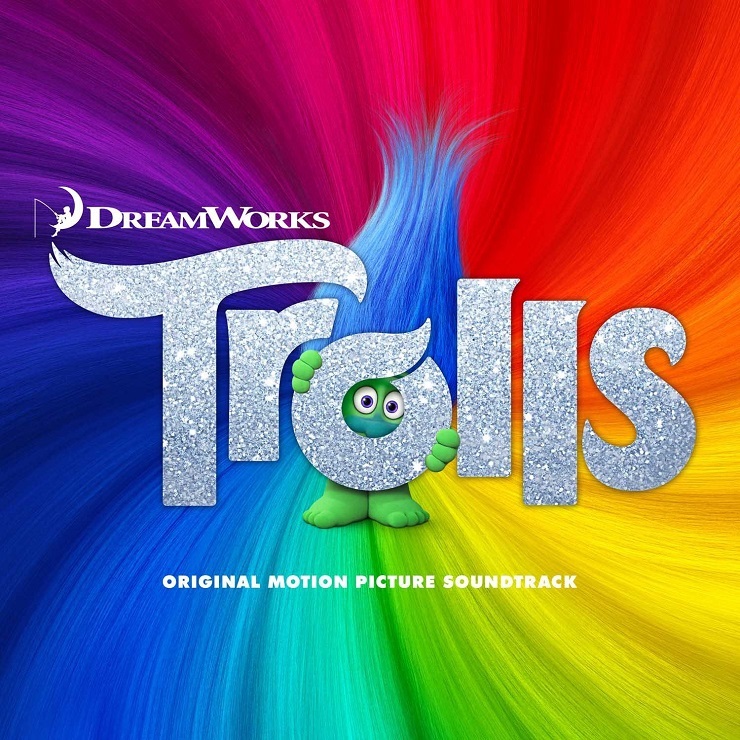 In addition to vocals from Timberlake himself, the soundtrack to Trolls features songs sung by cast members Kendrick, Zooey Deschanel, Gwen Stefani and Icona Pop, all of whom have experienced mainstream musical success outside of the film. Kendrick gets a few solo spots, singing the Pasek and Paul-penned "Get Back Up Again" as well as a shortened cover version of Simon & Garfunkel's "The Sound of Silence," while Deschanel goes it alone in covering Lionel Richie staple "Hello." Timberlake and Kendrick connect to cover "True Colors," made famous by the likes of Cyndi Lauper and Phil Collins, while he teams up with Stefani for a slice of playful pop in "What U Workin' With?" Though they don't have roles in the film, musical contributions from pop sensation Ariana Grande and legendary funk outfit Earth Wind & Fire also grace the soundtrack, with Timberlake and Kendrick assisting on a rework of the latter's classic "September." No less notable are cast members who aren't recognized for leading musical careers, with James Corden, Ron Funches, Christopher Mintz-Plasse and even director Dohrn earning vocal credits of their own for singing and rapping. They all join in on a film version of Timberlake's chart-topping smash, "Can't Stop the Feeling!" Speaking with Entertainment Weekly, Kendrick revealed that the recording sessions were always something to look forward to, joking that she "felt like I was in one of those movies about musicians and [Timberlake] was the guy pressing the buttons like, 'Do it better!'" Timberlake's demonstrated his pop history bona fides by having his cast cover works by the likes of Paul Simon, Lionel Richie and Cindy Lauper. But of course, that's without mentioning the inclusion of his own songcraft with "Can't Stop the Feeling!" Released in May as a standalone single, the slick, disco-influenced cut stands as Timberlake's fifth number one single in the United States, and is currently the best-selling song of the year with 2.16 million downloads in the country. Despite its success outside the film world, "Can't Stop the Feeling!" was Written specifically for what the man calls "the triumphant peak" of the movie, and served as Timberlake's initial bearing in piecing together a soundtrack for the film's story. "This movie…the first word that comes to my mind is pop. The colours pop. The vibe of the movie, it pops. Literally, our hero has 'pop' in her name," he explained during San Diego ComicCon. "I just felt like I wanted to make the soundtrack and everything in the movie feel like something you could hear on pop radio." And while not as faithfully recreated as the cover tunes, listeners can find a handful of other references to popular song scattered throughout the soundtrack. The Timberlake-led opener "Hair Up" plays on the unfailing "put your hands hair in the air, we don't care" rhyme scheme while adding light trap percussion to the melody of Edvard Grieg's "In the Hall of the Mountain King." A first medley piece mashes together lyrical cues from Junior Senior's "Move Your Feet," Justice's "D.A.N.C.E." and "It's a Sunshine Day" from the Brady Bunch, while a second finds Deschanel, Kendrick, Stefani, Corden, Dohrn, Funches, Icona Pop and Nayyar blending Diana Ross's "I'm Coming Out" and the Notorious B.I.G. 's "Mo' Money Mo' Problems," resulting in two kid-friendly bangers. Catch DreamWorks Animation's Trolls in theatres November 4, and stream the soundtrack in its entirety in the player below.